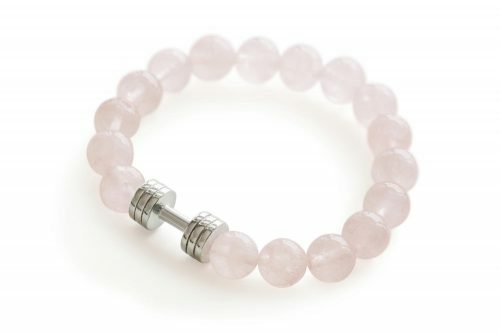 Pink dumbbell bracelet is made of natural high-quality Rose Quartz crystal beads and Rhodium plated dumbbell. Each bracelet is handmade by our team, wherein we put two rows of strong elastic cord through the beads to ensure longevity and suitable for different wrist sizes. Rose Quartz may have been used as a love token as early as 600 B.C. and is still an important talisman of relationships. It is quite effective in attracting love, romance, and intimacy, or in developing a closer bond with family or friends. 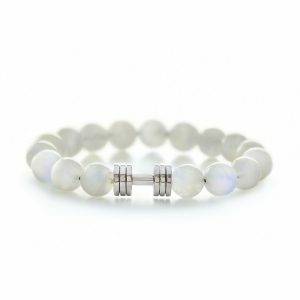 It supports connection within groups and community and carries a high spiritual attunement to the Earth, Universe, and the Divine. 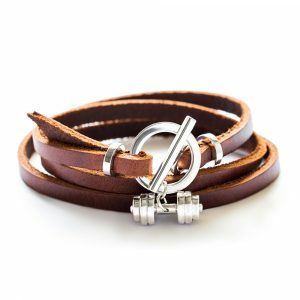 Which is a perfect gift for your favorite spotter, your friend or family member that you want to encourage to stay on track or to open a new chapter in their Fitness lifestyle. 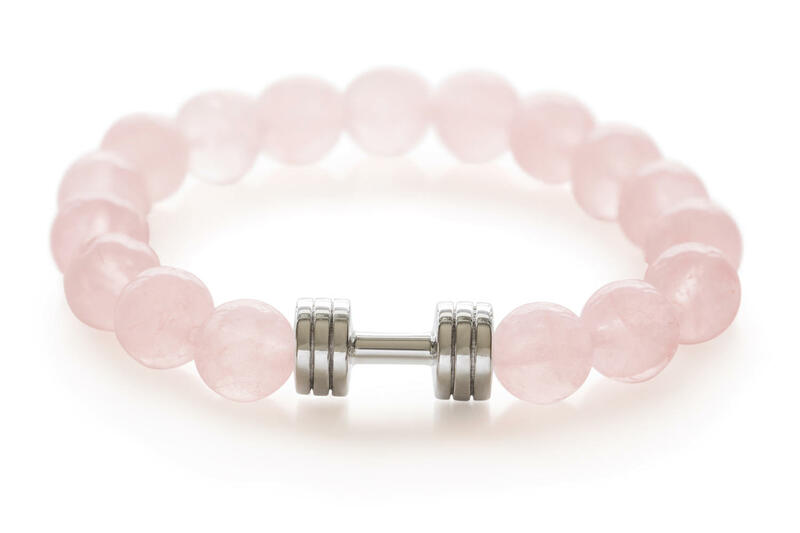 The dumbbell is plated with Rhodium to ensure is long lasting and non-irritating even to sensitive skin. 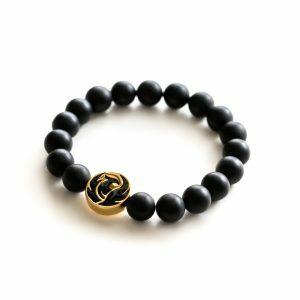 Standard bracelet size will easy fit 7-8 inches wrist, however, contact us directly in case you would require the customized size of the bracelet. As for all our items, Pink Dumbbell bracelet is coming in an elegant Fit Selection jewelry box, being ready to become a gift right away!